Sophie Turner and Simon Kinberg have been nothing but optimistic about how Dark Phoenix handles its iconic source material. 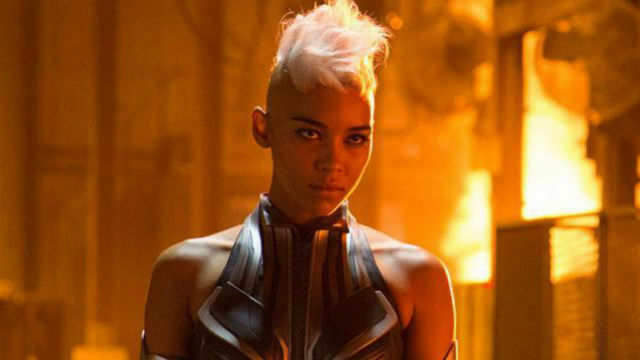 However, one cast member who doesn’t sound too happy about her role in the film is Alexandra Shipp. She took over for Halle Berry as Storm in 2016’s X-Men: Apocalypse and will reprise her role in 20th Century Fox’s last go-round with Marvel’s merry band of mutants this June. While “promoting” the film at this weekend’s WonderCon (via IndieWire), Shipp was asked if she’s excited to see the X-Men join the ranks of the MCU now that Fox is a Disney subsidiary. Surprisingly, she used the opportunity to voice her frustrations about Storm’s lack of screen time in Dark Phoenix. IndieWire doesn’t specify if Shipp made these statements during Dark Phoenix’s panel or in a separate interview at the convention. If it’s the former, we can’t even begin to imagine the tension onstage as the actress spoke ill of the film in front of her castmates. Regardless, we can’t exactly blame her for being disappointed about not having enough lines in the movie. Shipp was also asked about the possibility of an onscreen romance between Storm and Black Panther. Those characters famously tied the knot in the comics during Marvel’s Civil War event in 2006. Unfortunately, their marriage was not meant to last, and they divorced in 2012. Although the Disney-Fox merger would allow this storyline to be adapted, Shipp isn’t so interested in that prospect.